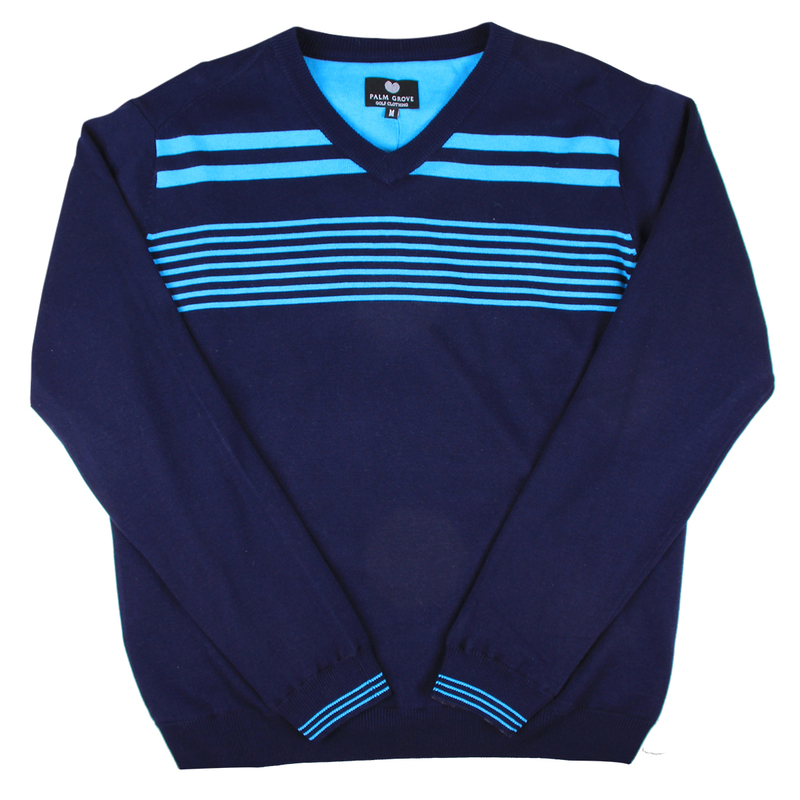 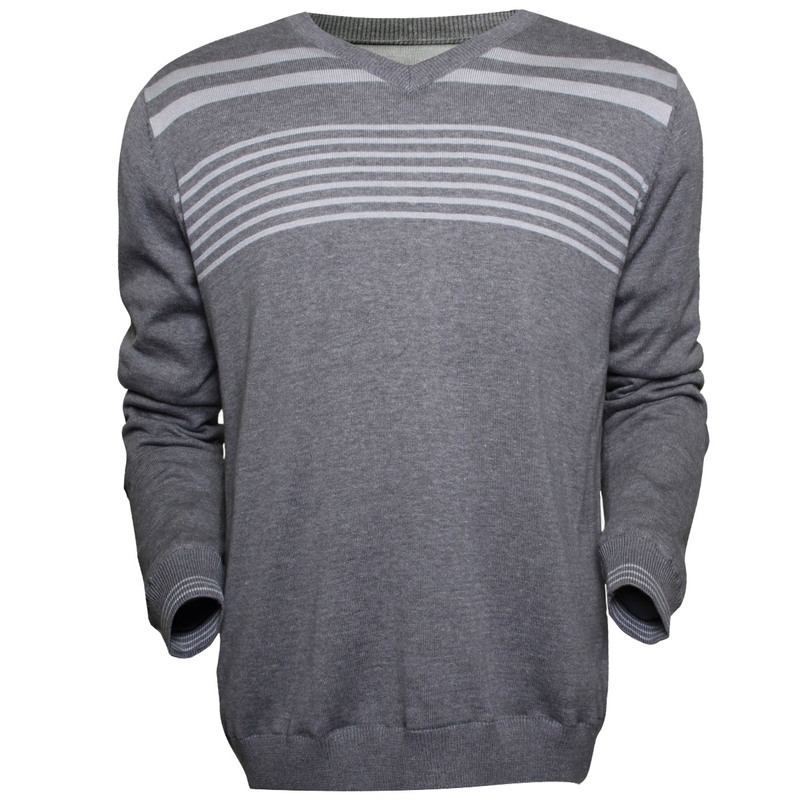 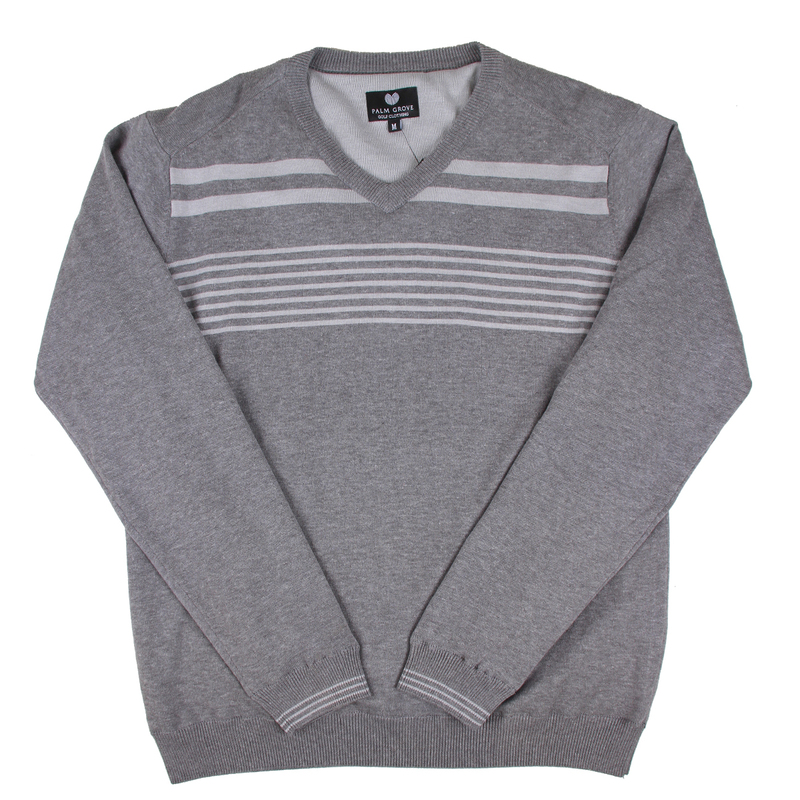 Beat the cold weather this season with this fantastic fully lined golfing sweater. 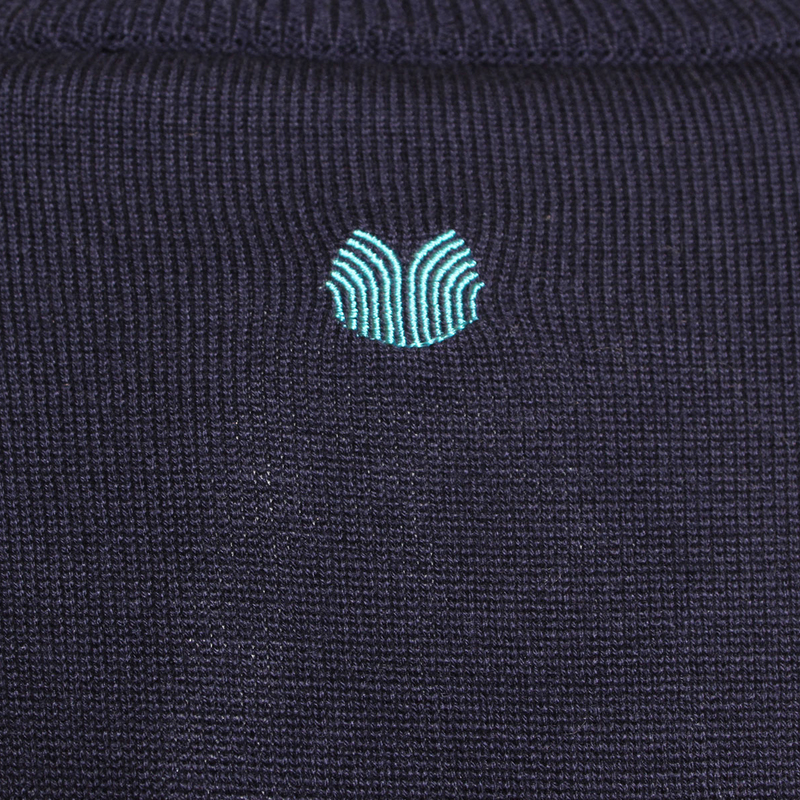 This outer layer has been constructed with a POLY TECH multi functional lining which provides wind protection, plus is water resistant to resist moisture from getting inside. 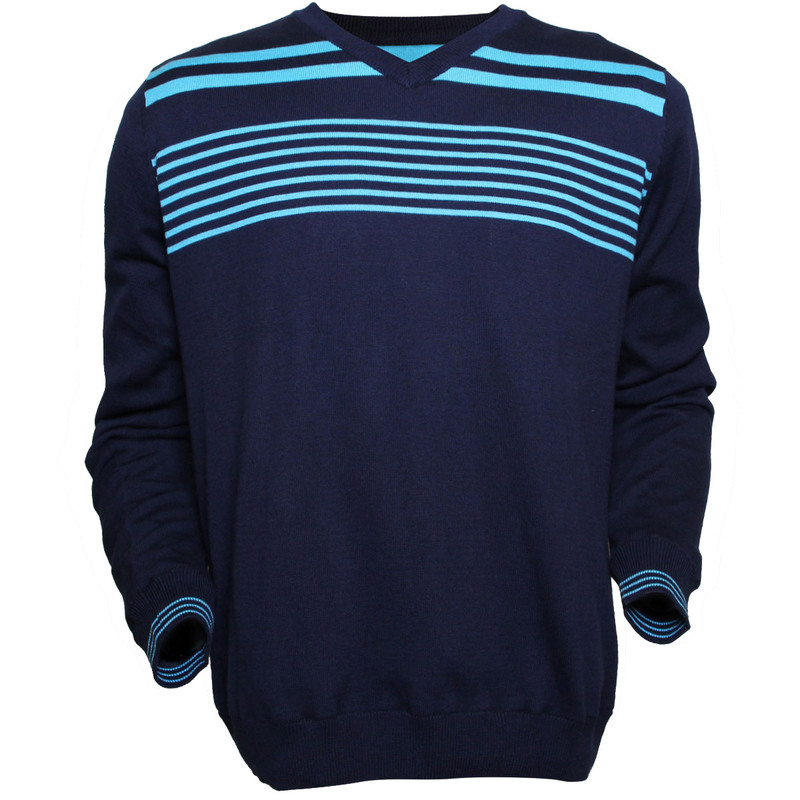 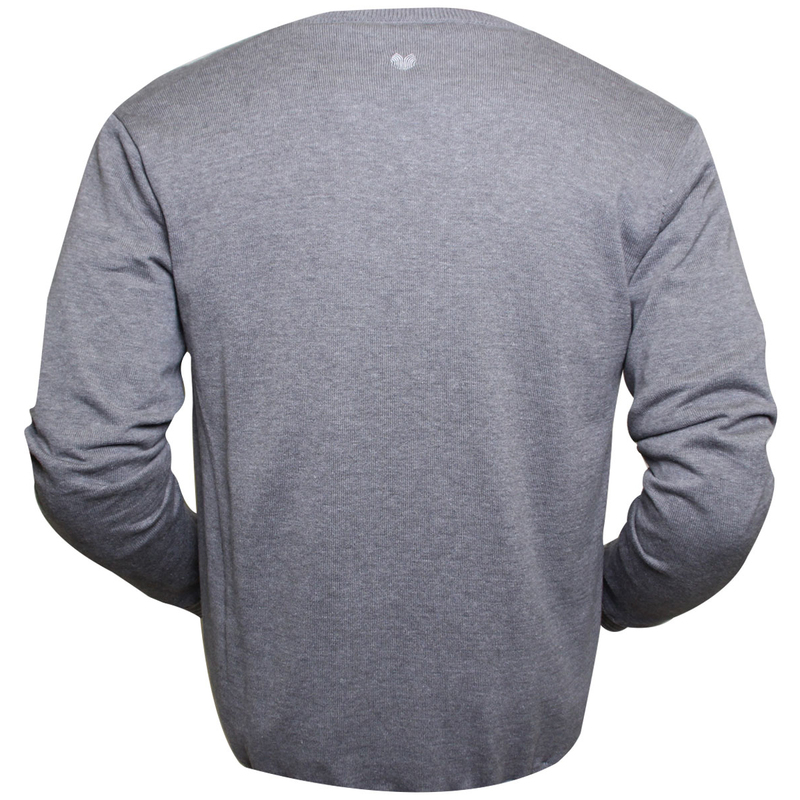 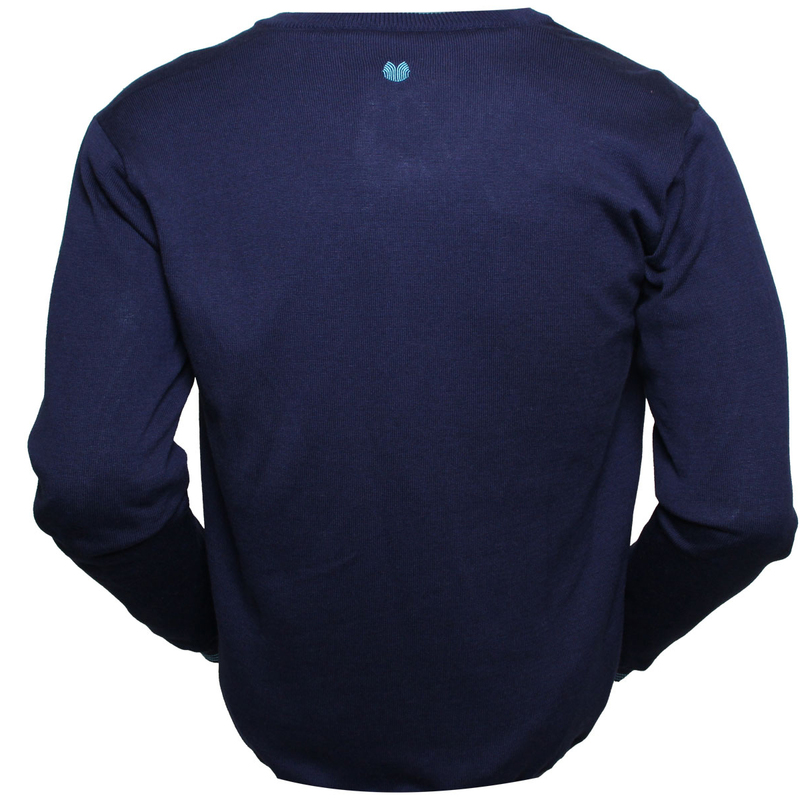 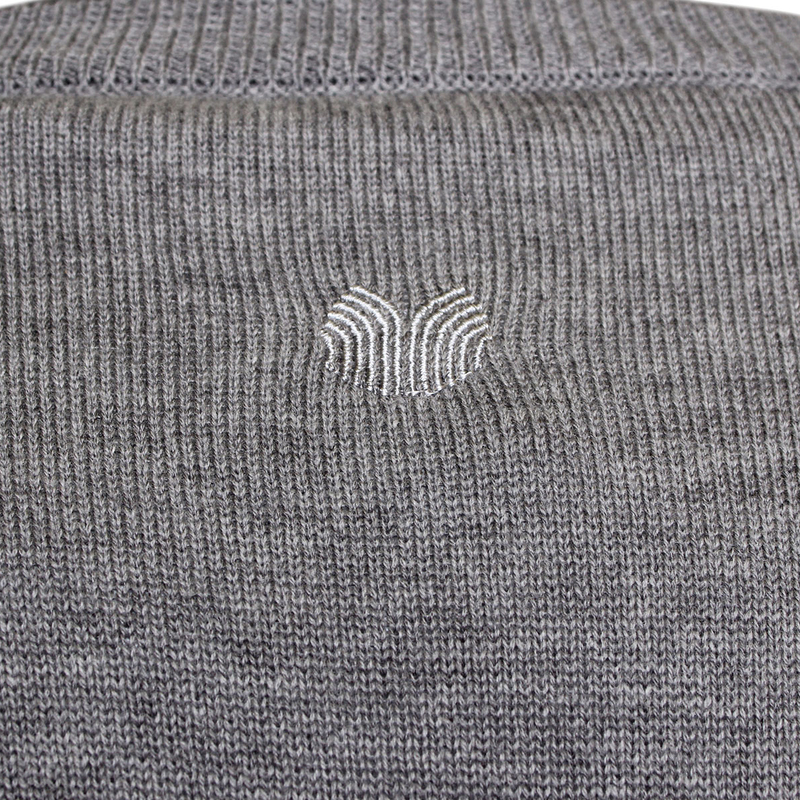 The knitted sweater has a traditional v-neck design with stylish chest stripes, and has ribbed neck, cuffs and hem to resist abrasion during the athletic movements associated with the golf swing.